Bridgestone Americas traces its roots to two distinguished companies - The Firestone Tire & Rubber Company, founded by Harvey Firestone in Akron, Ohio in August 1900, and the Bridgestone Tire Company Ltd., founded by Shojiro Ishibashi in Japan in 1931. The two companies merged in 1988 when Bridgestone Corporation purchased Firestone for $2.6 billion, transforming the companies' combined operations into the world's largest tire and rubber company. As part of its integration with Bridgestone's existing U.S. operations, Bridgestone/Firestone moved its headquarters from Akron to Nashville in 1992. Today, Bridgestone Americas (BSAM), consists of an international family of enterprises with 52 production facilities and more than 50,000 employees throughout the Americas. 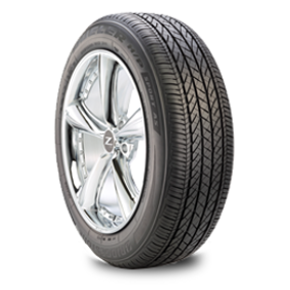 The first Ecopia tire designed specifically for CUVs and SUVs, the Bridgestone Dueler H/L 422 Ecopia (eco) offers low rolling resistance without sacrificing performance on wet surfaces. 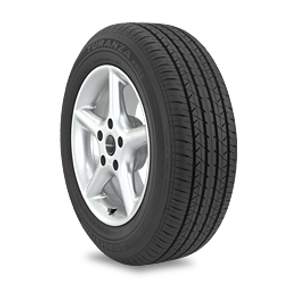 And because of its fuel-saving tread compound, this attractive all-season tire helps achieve better fuel efficiency. 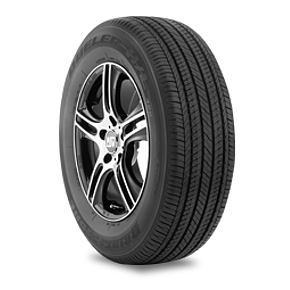 If you are looking for a durable tire that brings together the excitement of road-gripping performance with versatility for sport utility and crossover vehicles, look no further than the Bridgestone Dueler H/P Sport AS. It enhances your driving experience with great handling on dry and wet surfaces and delivers a quiet, comfortable ride. 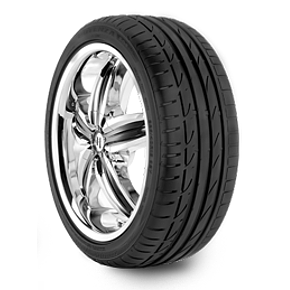 Bridgestone Turanza tires are focused on improving handling without sacrificing comfort. Our quiet ride technologies minimize tire noise through an advanced noise-canceling tread design. Innovations in wet capabilities enhance handling on wet roads and provide improved resistance to hydroplaning. Redefine your image of ultra-high performance with Bridgestone Potenza S-04 Pole Position tires. The Potenza S-04 Pole Position will help you unleash your high-performance vehicle's full potential. A silica-rich performance compound molded into an advanced asymmetric tread pattern delivers confident wet and dry performance.